If you don't want a deck – or your home is just not suitable for such an addition – a well laid patio can be a wonderful alternative. 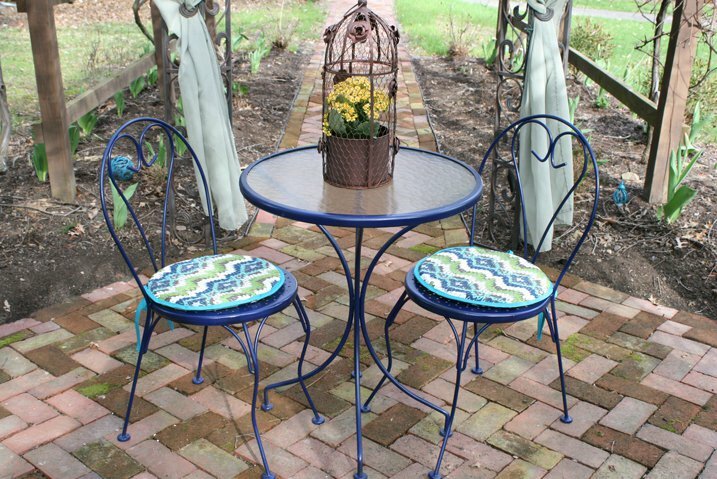 Patios offer the advantage that they can be created almost anywhere in your backyard, are relatively affordable to construct and are usually easier to maintain than a deck, especially if you choose an easy care, durable patio creation method like interlock pavers. To give your patio a sheltered, slightly more private look, the simple addition of a temporary canopy can be all it takes to begin to create a space that looks stunning during the summer months but then is easy to 'take apart' and store when the colder weather sets in. 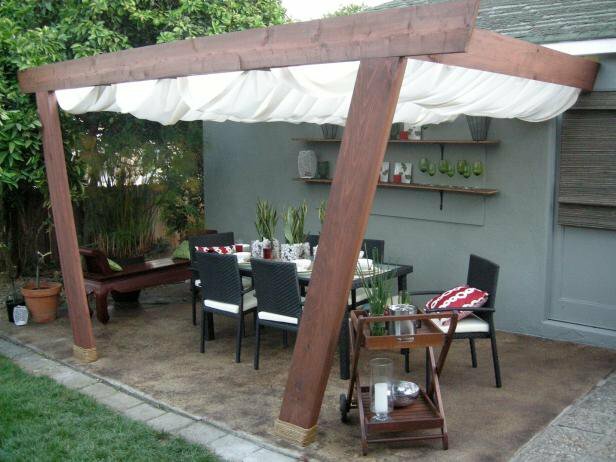 Canopies like the one above are just one option to consider and as such things can be found at all price points it is a simple patio tweak that won't break your home decor budget. 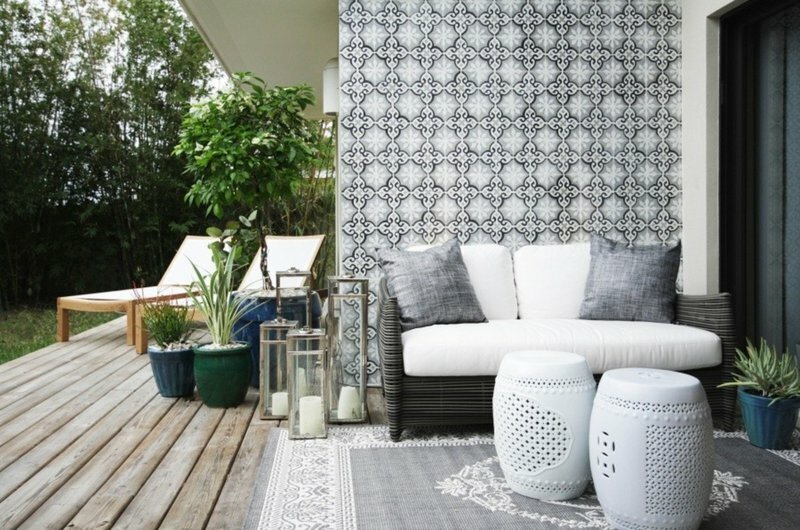 Another very easy – but temporary – way to add visual interest to your patio area is to head to the local home goods store and invest in some great matching chair cushions and outdoor rugs. As you can see in the picture an afternoon's worth of work can have a huge visual impact. 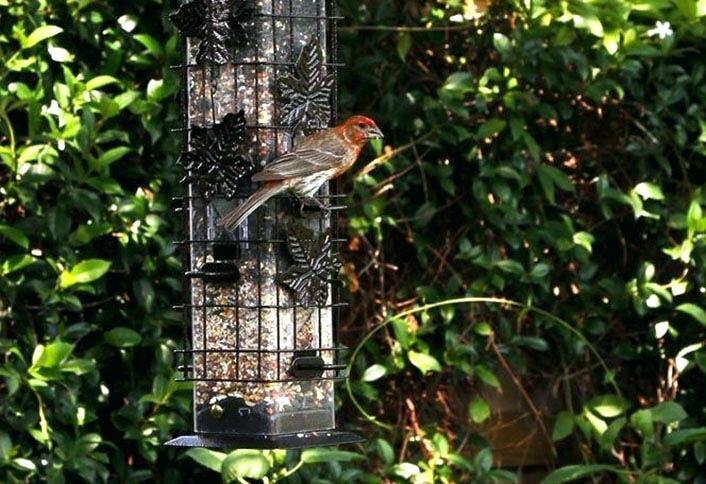 One of the easiest ways to add some instant colour to your outdoor living space to invite the local bird population to your yard. In order to do so add a birdhouse to a corner of your patio that is a little more secluded, fill it with some tasty bird friendly treats and then sit back and be treated to a free live show as the avian population begin to realise that your place really is the place to be!